We would like to thank you for purchasing Panasonic DMC-TZ6/DMC-ZS1. 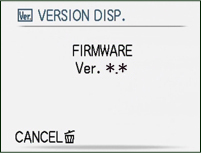 For our customers safety, after this firmware update your Panasonic Digital Camera cannot be operated by unauthorised 3rd party batteries. Improvement of battery detection for safety standards Panasonic uses. 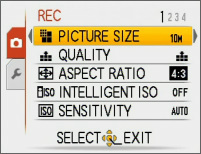 Noise of auto focusing (Quick AF) is reduced during action. The quality of viewing image(still image) is improved. Doing so can cause serious damage to your camera. 2. Slide the recording/playback switch (A) to [ ]. 3. Set the mode dial to [ ]. 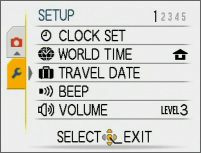 You can switch menu screens from any menu item by rotating the zoom lever.